The plus side of starting work later than most is that you miss the morning crowds and get to do things like go for a jog or have driving lessons before work. The downside is that you end later and when you come home at about 8.20pm, you just want to have your dinner, like PRONTO. Yesterday, I didn’t have any meals prepped as I had lunch out most of the week so I decided to cook myself a quick dinner. While it’s not as tasty as I would like it to be, it took a short time to prepare and provided me with two portions so I could bring the leftovers for lunch the next day! 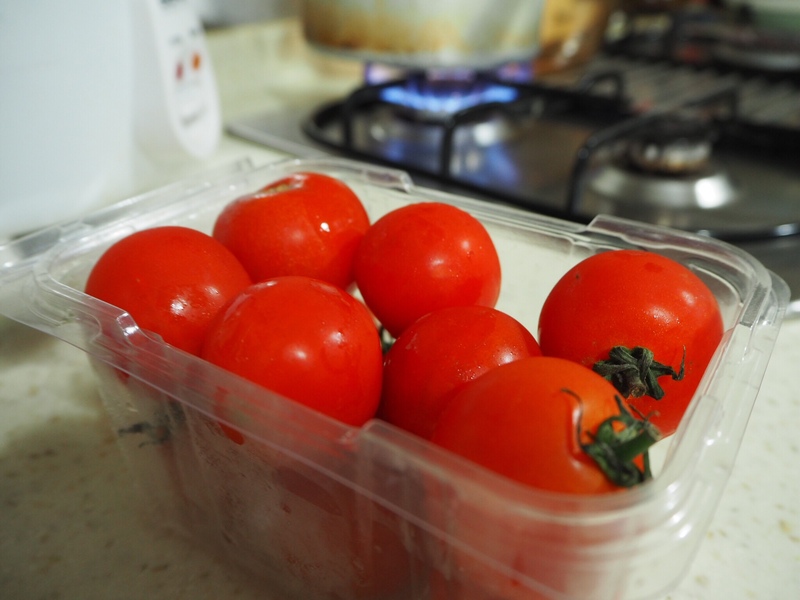 Presenting my 30minute tomato sausage pasta… which came about because I saw these gorg tomatoes on REDUCED TO CLEAR. The name reminds me of the Nasty Gal founder AKA GIRL BOSS, Sophia Amoruso. Used my $5 AIA Vitality voucher. Cheap thrills! I also bought some cheddar mozzarella cos you can never have too much cheese at home. And it was on offer. :p It’ll be great for egg bakes and baked pasta. DISCLAIMER: This pasta does not taste greaaat but it’s edible and somewhat healthy because of all those fresh tomatoes I put in. If you have some old tomatoes which have gone soft, this is great because you cook the tomatoes so you can more forgiving towards its age. Heat oil in pan. Stir in garlic and chilli flakes. Throw in tomatoes and cook for a while. Put cooked pasta in pan and stir around. Place cheese in pan and mix around for 1 min. This unfocused photo reflects my hunger and eagerness to start on my dinner.